During the Second World War, Canadian soldiers played a crucial role in the liberation of the Netherlands. By the “Hunger Winter” of 1944-1945, food rations were so slim that people were eating tulip bulbs and potato peelings. With the threat of 3.5 million people dying of starvation, Canadian forces negotiated a truce to deliver food relief in late April 1945. By early May, Germany surrendered, and Canadian soldiers advanced across the Netherlands. Ecstatic crowds greeted the liberators with cheers. Many were overcome with emotion, and wept with relief as the soldiers passed. 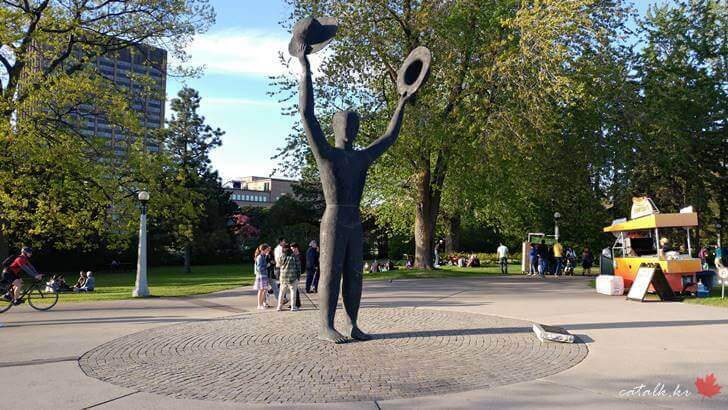 A statue identical to this one stands in Apeldoorn in the Netherlands. Her Royal Highness Princess Margriet of the Netherlands unveiled the monument in Ottawa on May 11, 2002, and the other in Apeldoorn on May 2, 2000. With the donation of the monument – an expression of joy and a celebration of freedom – the Netherlands pays lasting tribute to Canada. The statue was created by Henk Visch, a Dutch artist. Henk Visch(born 1950) is a sculptor, draughtsman and poet as well as an exhibition curator and art critic. 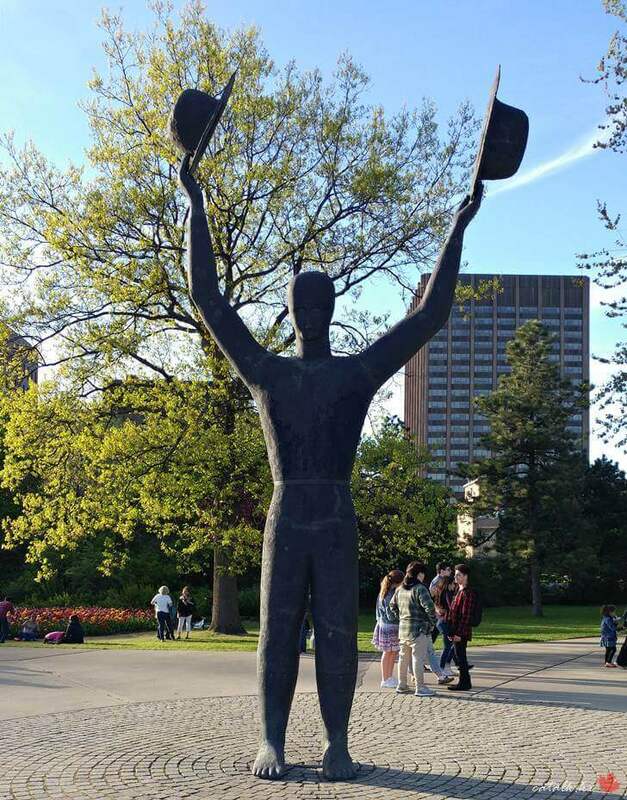 ‘The Man with Two Hats’ is located in Commissioner’s Park, Dow’s Lake, Ottawa, Ontario, Canada. If you want to know about the friendship between Canada and the Netherlands , please check the previous post. The twin monuments symbolically link Canada and the Netherlands; though separated by an ocean, the two countries will forever be close friends. 여행 및 관광 경쟁력 높은 나라 TOP 30, 한국 몇 위?